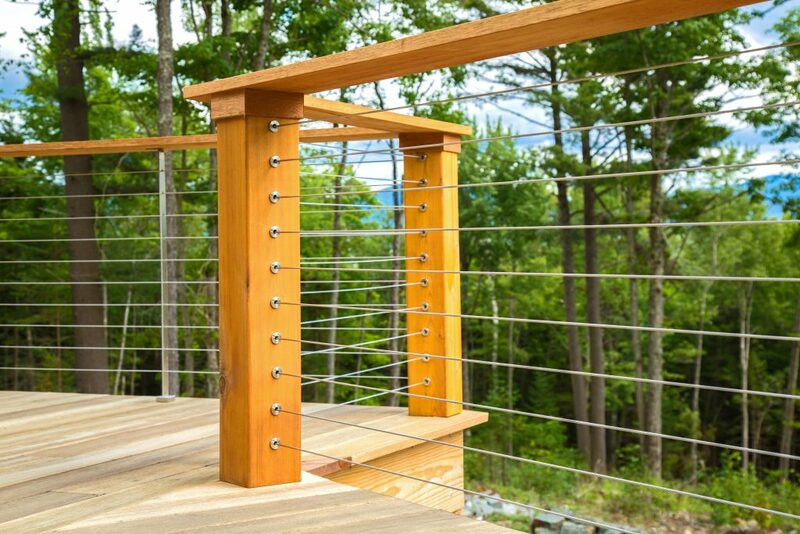 StairSupplies offers intermediate cable railing posts to help reduce deflection between structural wood posts. You need structural wood posts every 8 feet to ensure your system has the strength it needs (if your wood posts are spaced further than 8ft you need to add additional structural posts before using this product). Intermediate posts ONLY assist in reducing cable deflection, they provide no structural support. Intermediate posts can NOT be used with Stair Supplies 2″ Surface Mount Posts. 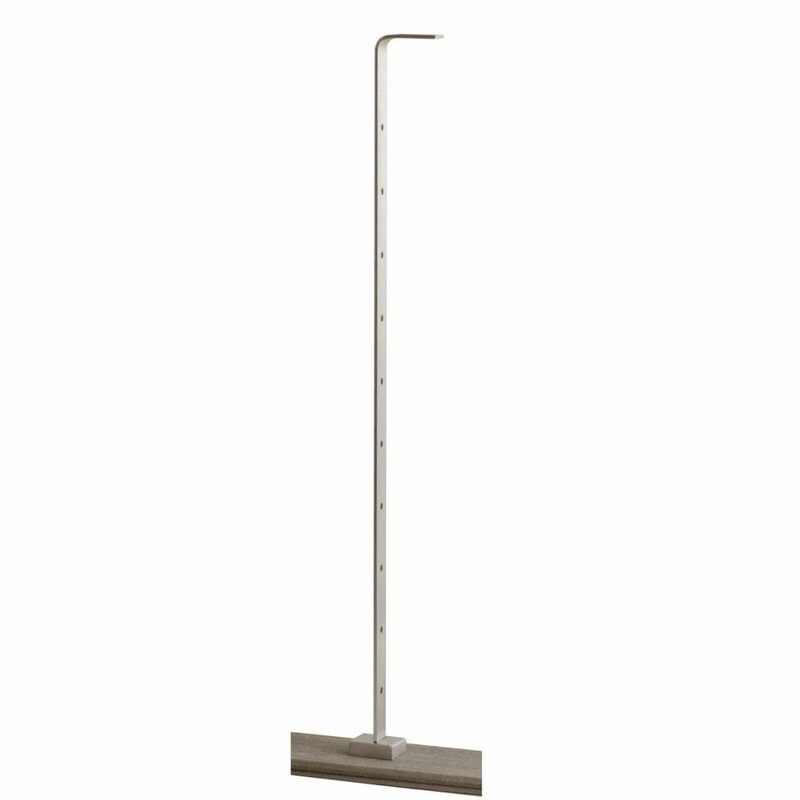 This particular intermediate post is 3/16″ thick x 1 1/4″ wide x 42″ tall of solid 316 marine grade stainless steel. It comes pre-bent on the top and pre-drilled with 12 holes at our standard 3 1/8″ cable spacing. The post is designed to be cut down from the bottom on the job site to match the height of your existing handrail. It can work on both level & stair applications. 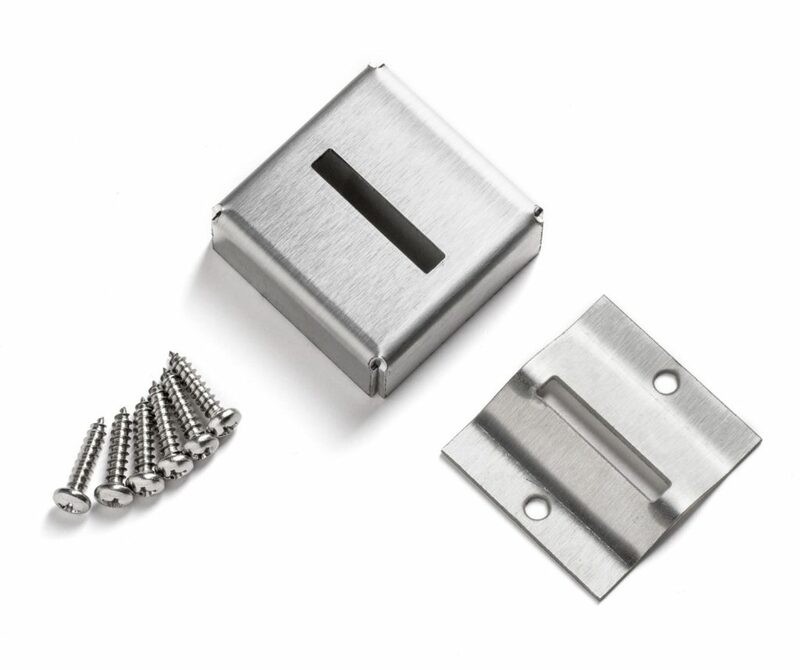 The 3/16″ intermediate comes with all the mounting hardware and screws necessary to install the post, and a foot cover to give it a finished look. Click here to view instructions on how to install this intermediate post. 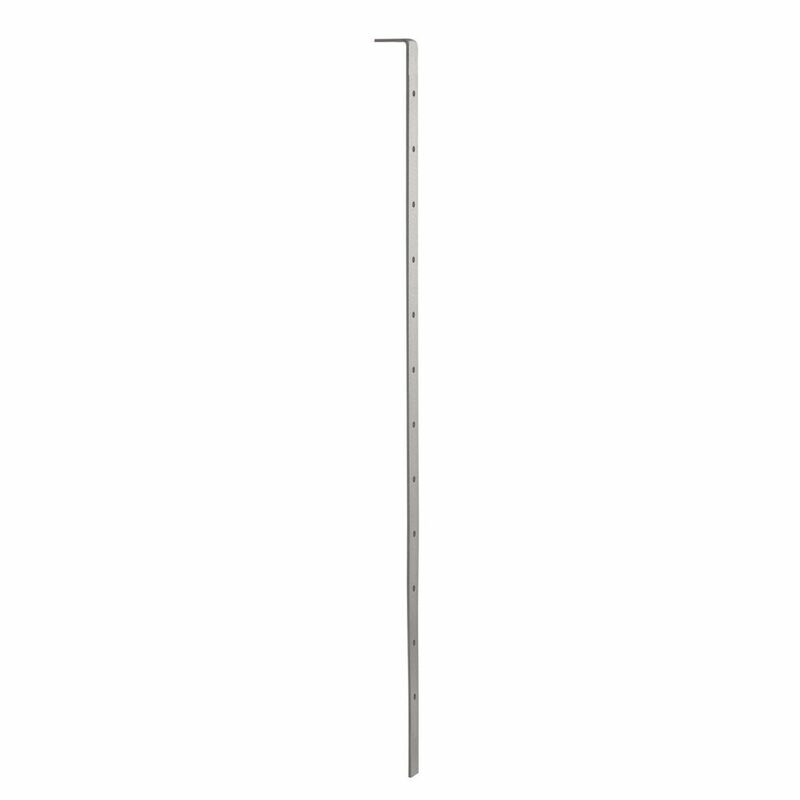 Click here to view installation guide for 3/16″ x 1 1/4″ x 42″ intermediate cable railing post. are the pre drilled holes suitable for 5/32″ cable ? Yes! These intermediate posts are compatible with 5/32″ cable. Please let us know if there’s anything else we can help you with. What is the spacing between the holes? The holes are spaced 3 1/8″ apart, which complies with the 4″ sphere rule that exists in a lot of code laws. We do suggest checking in with your own local code to see if there are different or additional requirements in your area. Please let us know if there’s anything else we can help you with! Two Questions as I seem to be seeing a couple of different things in the pictures (but it may be the picture). First, what is the radius of the “top bend” for the attachment flange to the top rail? One picture appears to be almost a right angle, and another appears to have a noticeable radius to the bend. Second, what is the distance down from this bend to the top-most hole for the horizontal wires? One picture appears to be the same (3-1/8″ spacing) as that between the other holes, and another appears to be a greater distance. Thank you. The top radius is 3/8″. The distance from the top to the first hole is 3 1/8″, which is the same as the distance between the rest of the holes. Let us know if there’s anything else we can help you with! This product is designed to work on both level and stair applications. However, surface mounting is the only style that this is available in. If you have a knee wall, you would need to purchase a 2″ Square Angle Foot Post. What is the max distance between 4×4 post before I need to add an Intermediate Cable Rail Post. My deck is 10’X10′ with 4X4 posts every 5′. Do I need an Intermediate post? 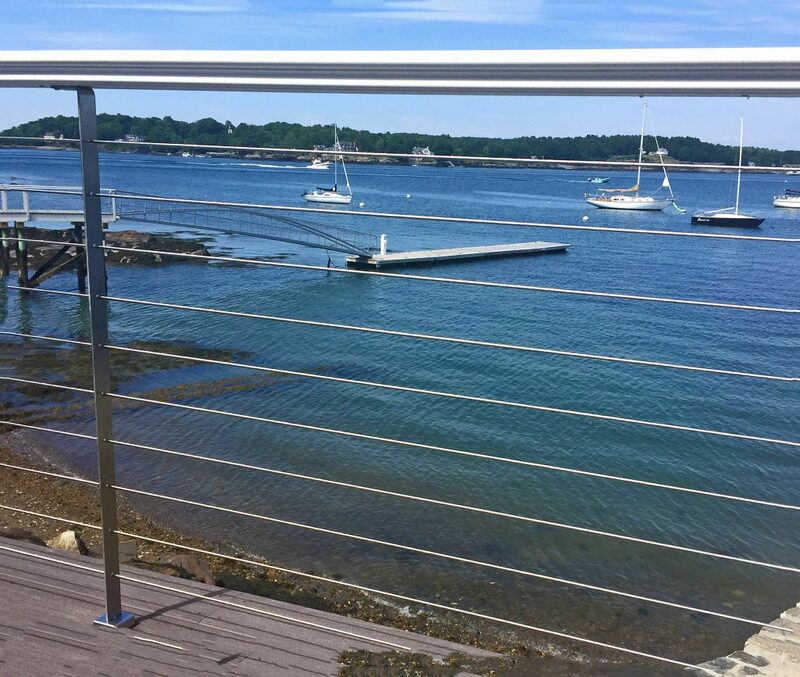 With a wood-post cable railing system, we recommend a newel (wood post) every 8′ on center, with an intermediate post of some kind every 4′ on center. While you could do a 5′ spacing, we would advise against it as you’ll experience substantial deflection by comparison. If you have additional questions, please give us a call at 1 (866) 226-6536.
will hole work for 3/16 cable? if they do, can you use only one in an 8′-0″ span between wooden posts? All of our products are designed to work with our 5/32″ diameter cable. Also, if you plan to work with wood posts, you can use 8ft spacing between wooden posts, so long as you have an intermediate post spaced a 4ft on center to resist cable deflection.